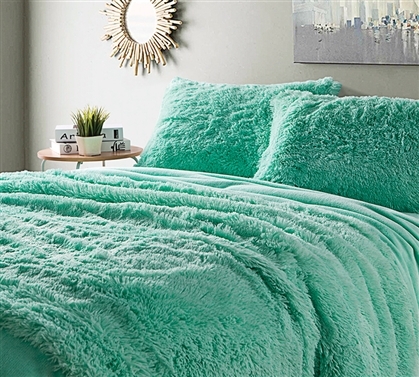 Provides an overload of comfort for your dorm bedding! Fitted Sheet and Pillowcase are super soft Coral Fleece while Flat Sheet is Thick, Wild Plush and Coral Fleece! Looking for Are You Kidding® - Calm Mint in Full, Queen, or King sizes? 1 Fitted sheet 39" x 80" x 12"
1 Pillowcase 20" x 30"